Nakano-shimbashi - a popular town with two faces, a metropolitan atmosphere on one side and the warmheartedness typical for Downtown Tokyo on the other. 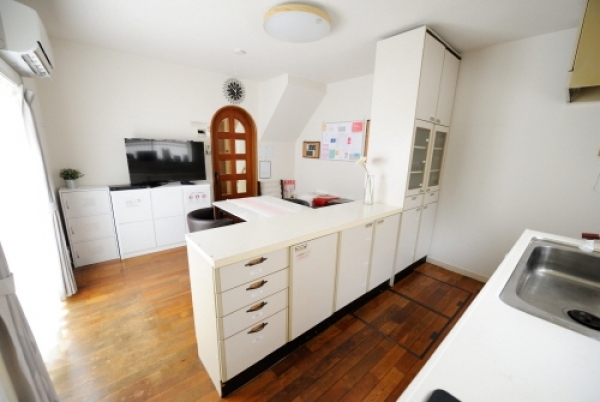 Eight minutes from Nakano-shimbashi Station, you will find the co-ed sharehouse PAL Nakano-shimbashi 1. The residents are welcomed by a white, chocolate bar shaped entrance. When entering the house, a freshly renovated, brand new interior spreads out before you. Especially in the living room, where not only the kitchen sideboards and dining table, but the whole interior are held in white tones, you will notice a sense of both cleanliness and relief. When the sunlight enters through the large window, the room will seem even more bright and cheerful. As the room is quite spacious, you can use both the table seats or just improvise and sit on the floor. There are three types of individual rooms: private rooms, semi private rooms, and share rooms. Since the semi private rooms are divided by women-only and men-only, you can feel at ease even if you are not used to living in a sharehouse. 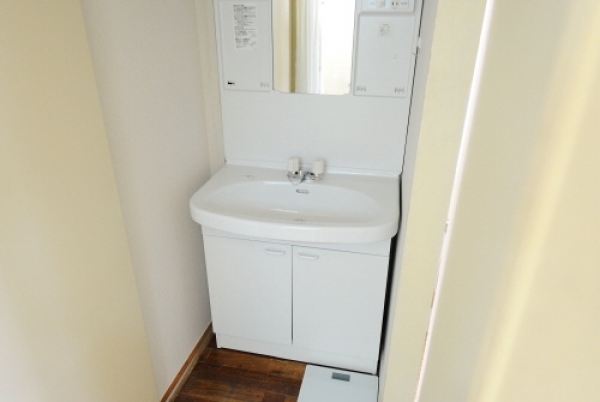 The rooms can be used by two people, but each room has its own set of a unit bath (toilet, bath and sink) attached, so there is no need to worry about having to wait for the bathroom in the morning - which normally is quite usual in a sharehouse. You can finish your morning routine at ease and with no sweat. 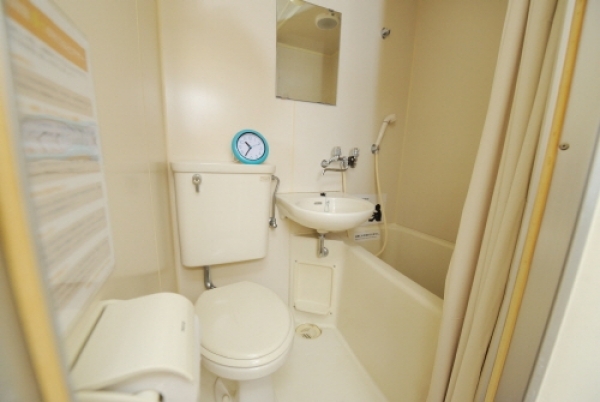 And even if you are starting a new life on your own for the first time, you can just come with your suitcase, since kitchen electronics as well as home electronics, a futon and kitchen equipment is provided. Your future housemates are waiting for you! 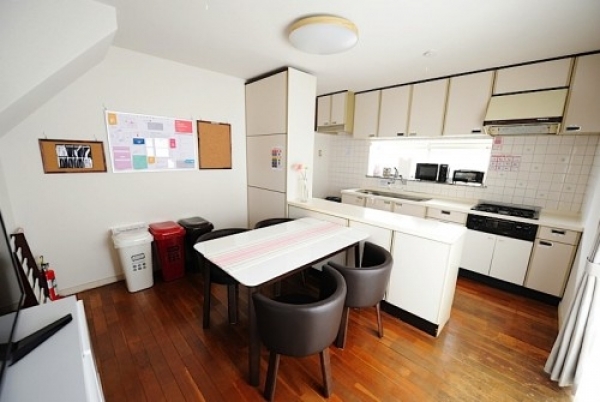 8 minutes walk from Nakanoshinbashi Station. 15 minutes walk from Shinnakano Station. 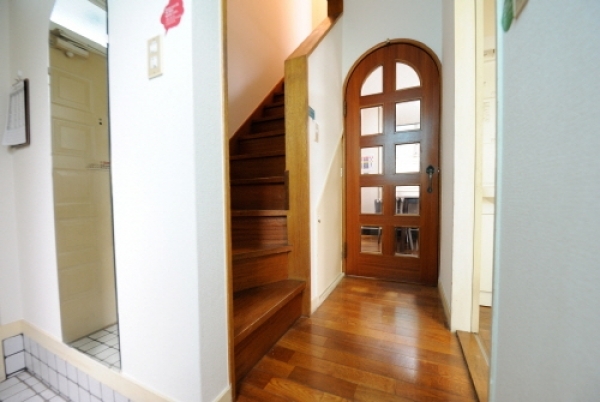 17 minutes walk from Nishishinjukugochoume Station.